How can anyone not love The King. The man is the definition of imagination. He made the mundane wondrous and the wondrous mythic. He defined so many tropes and maxims that are now taken as understood (I dare say; for granted by some) as always existing in the modern comic book worlds. 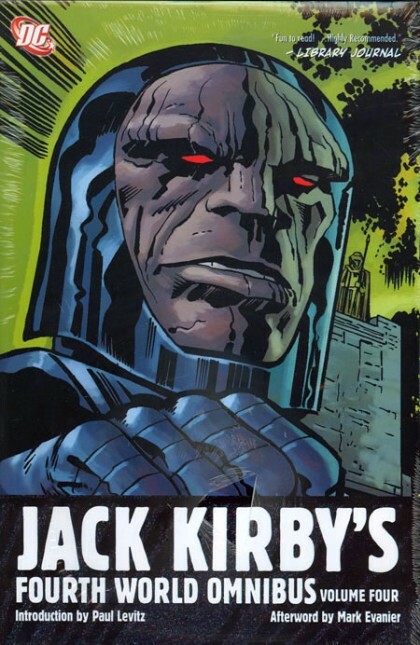 His DC stuff never gets the love it deserves and am so glad DC is still highlighting his stuff since the very first Kirby-centric Omnibus Hardcover. Fantastic review Andy. side note: How is the new job and when shall Human Diastrophism get it’s Discussion date?